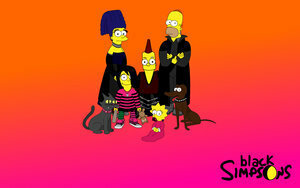 the_Simpsons_emo 2. . Wallpaper and background images in the Simpsons club tagged: the simpsons. nyota WARS Meet the SIMPSONS!